November was a hectic month so the blog posts have been a little tardy – apologies! After a full hacks and hackers day with the wonderful crowd in Lichfield #hhhlich we set off and sailed overnight to Belfast with a full force gale – force 11 to be precise! The Titanic memorabilia available on board was a nostalgic touch, but we questioned the appropriateness of the shop’s choice, as the 20k ton ferry bobbed up and down like a cork and we were advised to stay in bed to avoid the worst effects of a rough crossing! We received a rapturous welcome at the University of Ulster (Belfast Campus) from Milne Rowntree, our main host for the event. 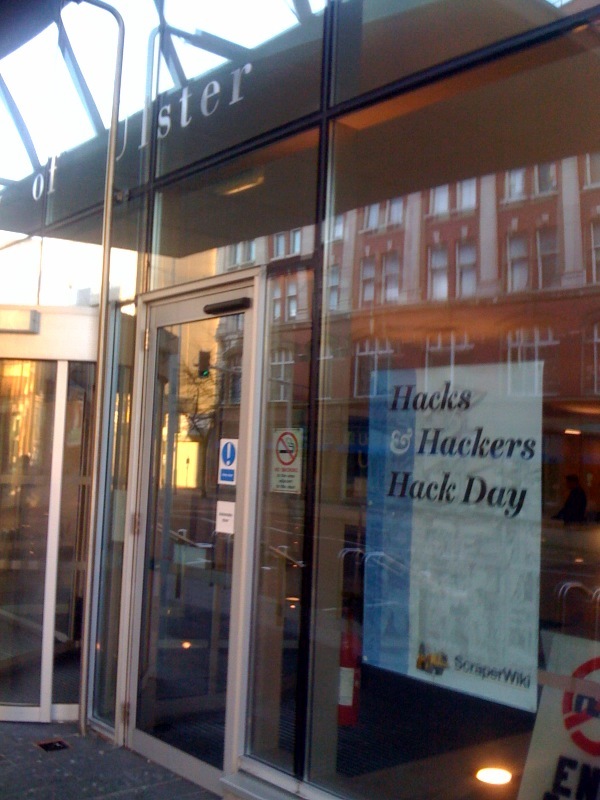 It was our first ever Saturday ‘Hacks and Hackers’ Hack day. The University was bright and modern with great facilities and it was wonderful to see how the city had been transformed by a big investment in infrastructure – three cheers and long may it continue in NI! Mr Cameron please keep your mitts off their money! This was the winning entry for the day and all about politics in Northern Ireland (surprise surprise!) and representation. Ivor Whitten (@iwhitten), Alan Meban (@alanbelfast), Matt Johnson (@cimota) and Rob Moore (@robsogc) set about gathering data and graphing the impact of people choosing not to vote and what this meant for representative democracy across Northern Ireland. 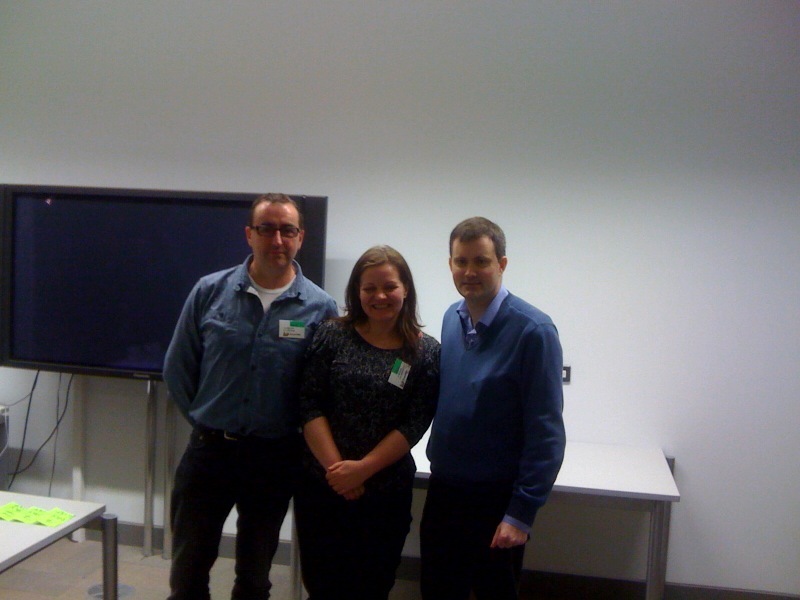 Jo Briggs, Dee Harvey (@deeharvey), Julian Todd (@goatchurch) and Ian Walsh (@ianwalshireland) all worked on a project that examined the patterns within the NI Court System. This was all about how court case data appeared on a web site for a single week and the implications and difficulty of measuring the costs of cases as this information could not be captured or aggregated. The data was captured and will be maintained so it will be interesting to look at the findings over time. This project scooped the 2nd prize. Tony Rice (@ricetony), Philip Bradfield and Francis Irving (@frabcus) set about looking at the depth of one of Northern Ireland’s Property companies – Red Sky and its relationship with the Northern Ireland Housing Executive. Brian Pelan (@ckarkkent), Veronica Kelly (@veedles) and Declan McGrath (@theirishpenquin) decided to look at public and private sector pay in Northern Ireland. 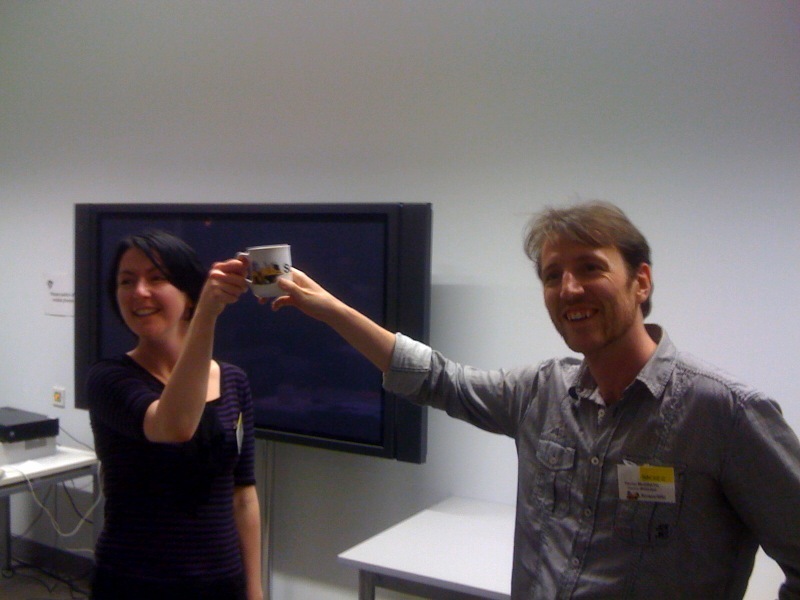 The prize for the ScraperWiki mug was won by Declan McGrath, a hacker who had come from Dublin for the event! Thank you to our judges Colm Murphy & Milne Rowntree, both from the University of Ulster and Damien Whinnery from Flagship Media. Also, a big thanks to our sponsors University of Ulster, Digital Circle and Guardian Platform.